We’ve got less than two months before Samsung launches the Galaxy Note 9. The device is a regular feature on the rumor mill, allowing us to form a good picture of what to expect this year. Samsung will take a slow approach on the Note 9’s external design as it looks to improve the gadget’s overall experience offered to the end user. But, this doesn’t mean that the Galaxy Note 9 will be completely similar to its predecessor. Samsung will make a handful of external changes on the device, forced by hardware constraints. Today’s case render leak highlights just this. Take a look below for more details. Just two days ago, we were treated to one of the few major Samsung Galaxy Note 9 leaks this year. Russian blogger Eldar Murtazin claimed to have flown to New York City and had a chance to carry out a brief, hands-on review of the Galaxy Note 9. He confirmed a lot of details currently floating around for the device. These include a new horizontal rear camera setup, with the fingerprint sensor placed directly underneath it. Murtazin also claims that the Note 9 will feature a massive 4000mAh battery – a detail which was one of the first for the phablet to make it on the rumor mill. 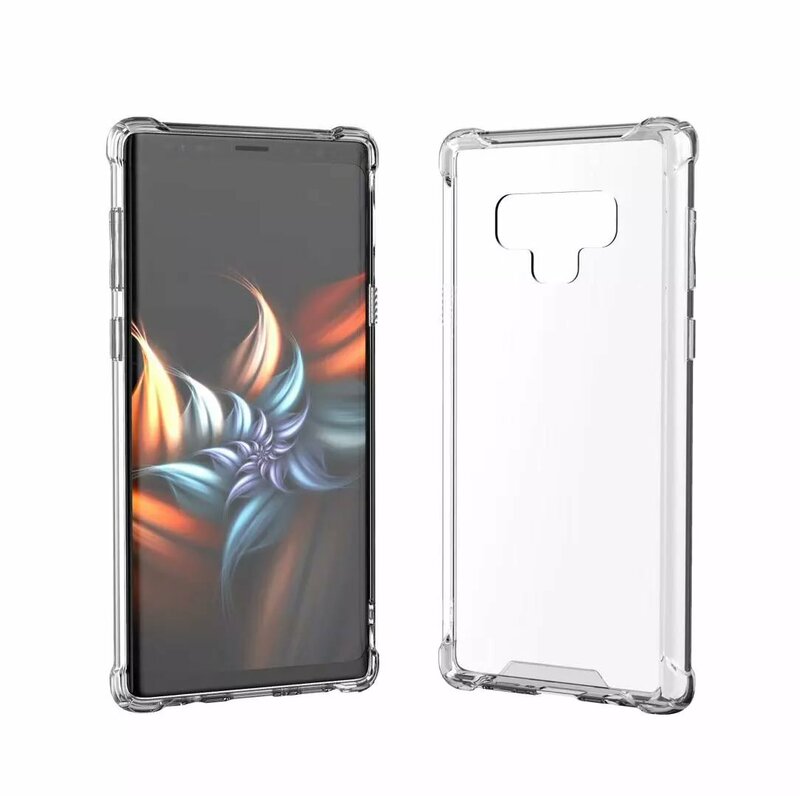 Now, we’ve got a fresh case render leak from notorious tipster Ice Universe that provides corroboration for a horizontal rear camera setup and a relocated fingerprint sensor for the umpteenth time. It’s a well-known fact that Samsung’s had some problems with fingerprint sensor placements in the past. 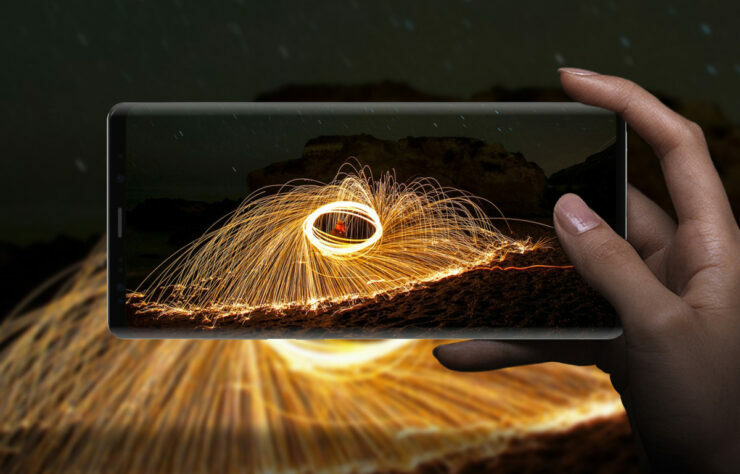 The company launched its Galaxy S8+ with a rear camera setup that featured the sensor on the side. This naturally led to complaints of the camera sensors being smudged accidentally. To rectify this, the Galaxy S9+ now features a vertical rear dual camera setup that has the sensor placed under it. The Note 9, it appears, will blend features of the S9+ and the Note 8. While Samsung will stick with a horizontal rear camera setup, it will now place the sensor at the bottom of this setup, as it had done on the S9+. Apart from these details, the S-Pen is expected to receive a major overhaul this year due to Samsung’s decision to specifically target business users with the Galaxy Note 9. Some of the rumored upgrades for the stylus include new work modes and Bluetooth support. Thoughts? Let us know what you think in the comments section below and stay tuned. We’ll keep you updated on the latest.